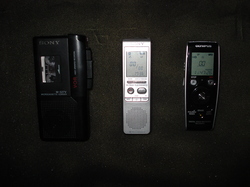 Audio Recorders --- We have several different types of audio recorders from analog to digital. Make sure to set the time on the digital recorders at the beginning of a case so you can reference the time when reviewing. 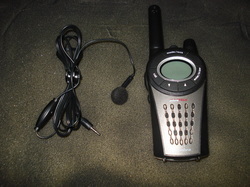 2-way Radio --- 2 way radios with earbuds or headphones will allow you to communicate with other members of your group with the least amount of audio contamination on cases. Video Capturing Devices --- Depending on the type of setup we use on a case, the USB video capture device allows us to record our cameras with a laptop. 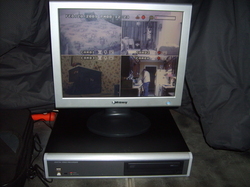 We use a standalone DVR for larger setups. Both options allow us to monitor and record video. 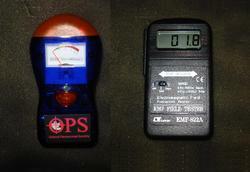 Temperature/Humidity/Barometric Pressure Meters --- We find these meters useful in documenting base readings on a case. 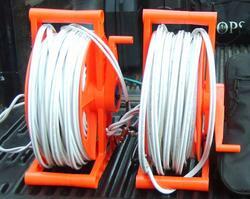 They can also be used to explain cold or hot spots and follow unexplained ones! Camcorder --- Camcorders are the best option for recording video on the go. They can also double as a stationary camera when needed. 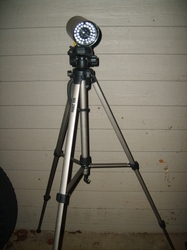 Adding an infrared light will extend the range of area in your night time recording. 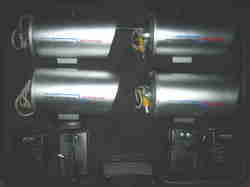 Infrared Illuminator --- Illuminators will extend the area of your infrared video equipment. 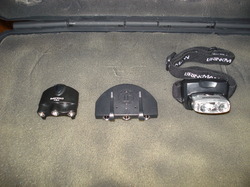 Headlamps --- We have found headlamps to be very practicle when moving around. They will free your hands up to operate the rest of your equipment. 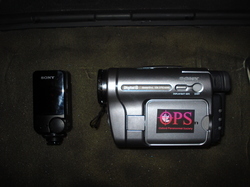 Stationary Infrared Camera --- With these cameras we are able to monitor and record video in low light areas. We use both wireless and wired cameras. 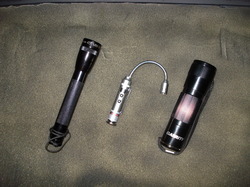 Flashlights --- Since most of your investigations will be taking place in the dark, a good flashlight is a must! They will enable you to investigate items more closely if needed. 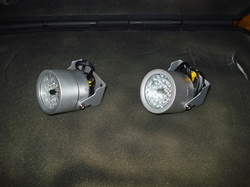 LED flashlights will give you a brighter light pattern and longer battery life. 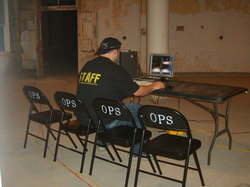 Table and Chairs --- This is something that will be very useful if you are setting up a monitoring system. Misc. Equipment --- Power Inverter - This allows you to run your equipment straight from a portable battery or even your vehicle's battery(be careful not to run it down!) 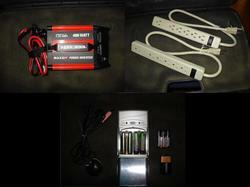 _______________________________________________ Power strips - If you run several pieces of equipment this is a must. Make sure they have a built in breaker so you don't overload your clients power source! _______________________________________________ Batteries - The more the better! I recomend rechargable for longer life (especially in digital equipment). Power Cords --- We carry lot's of power cords because you never know where you will be getting your power from, or how far away it will be. 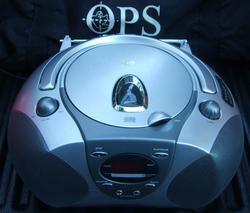 CD Player --- We use a cd made with a white noise generator program to aid in EVP work. Siamese Video Cable --- Siamese cable is great to run to your cameras since it handles the video and power for your stationary cameras. 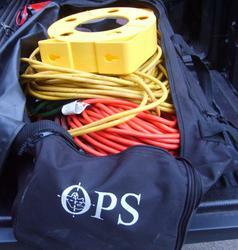 Hand Trucks and Carrying Bags --- With all this equipment to move around these are a must. 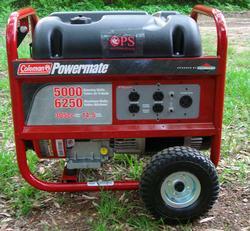 Powermate 120/220v, 5KW gasoline generator - On cases where you need to power several pieces of equipment without a power source, a generator is the way to go. Just make sure you place the generator far enough away so you still are able to record audio without interference. Good tripods will help set up the stationary cameras for any angle you need. This also eliminates accidental movement of the camera.